24 Jun Link for LABMD ORAL argument audio IS HOT, UP AND AVAILABLE!! The link is live to listen to oral arguments in the United States Court of Appeals in the Eleventh Circuit. The Federal Trade Commission will have an opportunity to justify its data security enforcement authority when oral argument in LabMD Inc. v. FTC starts June 21 before the U.S. Court of Appeals for the Eleventh Circuit, attorneys told Bloomberg BNA. One of the critical issues likely to emerge in the case is what level of harm is required for the FTC—the nation’s main data security and privacy enforcement agency—to act, attorneys said. The issue of harm will be “front and center,” Phyllis H. Marcus, counsel in the global competition team at Hunton & Williams LLP in Washington, told Bloomberg BNA. Oral argument “presents an opportunity for the FTC to explain its current view of ‘harm,’ and how it should be applied in the LabMD case,” Kurt Wimmer, Washington-based partner and chair of Covington & Burling LLP’s data privacy and cybersecurity practice, told Bloomberg BNA. The FTC has no direct statutory or regulatory authority for enforcing the nation’s data security rules. In the absence of that authority, it relies on Federal Trade Commission Act Section 5—a catch-all prohibition against unfair and deceptive trade practices—to carry out data security compliance actions. Companies under the FTC’s jurisdiction, from internet giants Amazon.com Inc. and Facebook Inc. to smaller businesses such as LabMD, have struggled with what level of data security they must provide to convince the agency that their efforts to protect personal data are reasonable. Of those companies whose data security and privacy practices have been targeted by the FTC, very few have challenged its enforcement authority. Very few FTC data security actions are litigated, Marcus told Bloomberg BNA. Mostly, targeted companies have entered into no-fault consent orders with the FTC. To date, there have been more than 50 data security settlements, according to the commission. LifeLock Inc., Oracle Corp., and Snapchat Inc. are among the companies that have settled with the agency. The long-running dispute between the FTC and LabMD started when the agency alleged in 2013 that the Atlanta-based medical testing laboratory was storing patient information insecurely, on a peer-to-peer network. The now-defunct company countered that the agency hadn’t issued a rule or statement specifically describing the data-security practices permitted for patient information, and therefore lacked authority to bring the action. LabMD objected to the FTC’s use of FTC Act Section 5 to take data privacy and data security enforcement actions. But in November 2015, FTC Chief Administrative Law Judge D. Michael Chappell ruled that the FTC had failed to show that LabMD’s data security practices either caused or were likely to cause substantial injury to consumers. The court also questioned the commission’s interpretation that “likely to cause” doesn’t mean “probable” but “significant risk.” The appeals court said it doesn’t read “the word ‘likely’ to include something that has a low likelihood,” and found that the FTC’s interpretation isn’t reasonable. Although the outcome of the case can’t be predicted, the appellate court seems to have put LabMD in a strong position heading into oral argument. LabMD has “momentum from the appellate court’s decision to stay the commission order,” said Marcus, while the FTC is coming from a defensive position. Moreover, the Eleventh Circuit’s stay order adopted LabMD’s argument and tone, and the court publicly expressed skepticism about the commission’s authority, she said. LabMD is represented by Ropes & Gray LLP. Counsel for LabMD and the FTC declined to comment. 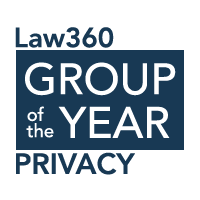 Law360, New York (March 10, 2017, 10:12 PM EST) — LabMD on Thursday stepped up its opposition to a ruling by the heads of the Federal Trade Commission that declared the company’s data security practices were inadequate to protect against unauthorized disclosures, telling the Eleventh Circuit the agency keeps shifting its arguments to fit a conclusion it reached long ago. In a reply brief, LabMD Inc. shot back at a brief filed by the FTC last month, which urged the appellate court to uphold a July ruling in which the heads of the agency overturned their own administrative law judge and concluded that the company’s failure to employ “basic” security precautions led to an unauthorized disclosure of sensitive medical data that caused “substantial” harm to consumers, in violation of the unfairness prong of Section 5 of the FTC Act.The FTC had argued in its February brief that the company’s failure to take standard precautions like training staff about data security and using inexpensive monitoring tools caused actual harm in the form of invasion of patient privacy. But LabMD countered Thursday that not only was the conclusion incorrect, it was a predetermined judgment that none of the lab’s arguments could alter. Specifically, the lab contended that the FTC claimed the leaked patient data file at the heart of the case was exposed to “millions” of Limewire users who had “unfettered access to it” when “in truth only a small fraction of users could have searched for it and their access was quite ‘fettered'”; that the commission had falsely asserted that the file contained patients’ diagnoses; and that the agency misrepresented that the lab affirmatively “disclosed” the file to cybersecurity firm Tiversa. Tiversa, which is currently embroiled in separate litigation with the lab over the data exposure and is under investigation by the FBI for its dealings with federal regulators, claims that it discovered the file on Limewire, while LabMD has countered that Tiversa stole the file and gave it to the FTC after the lab had refused to purchase its security services. However, LabMD noted in its recent motion that even if these points were presented accurately, they still wouldn’t be enough to justify upholding the commissioners’ decision, which the lab argued went far beyond the authority that Congress had bestowed upon the commissioners to police unfair practices under Section 5(n) of the FTC Act. “Each interpretation of Section 5(n) that the FTC now asserts is directly at odds with Congress’ clear intent and is, in any event, unreasonable,” the lab argued. “Even if the court could consider it, this newfound position is no more reasonable than the FTC’s original theory,” the lab argued, adding that both the plain meaning and legislative history of the unfairness prong foreclose the finding of a “substantial injury” based on intangible harms such as privacy invasion. LabMD is represented by Doug Meal, David Cohen, Michelle Visser and Douglas Hallward-Driemeier of Ropes & Gray LLP. The FTC is represented by staff attorneys Joel Marcus, Theodore Metzler and Michael Hoffman. The case is LabMD Inc. v. Federal Trade Commission, case number 16-16270, in the U.S. Court of Appeals for the Eleventh Circuit. A group of eight privacy and security law professors on Thursday threw their support behind the Federal Trade Commission in its Eleventh Circuit battle with LabMD to keep intact a ruling that an alleged data leak harmed consumers, saying the agency’s approach to regulating privacy spurs better protection practices. In an amicus brief, the group of academics, who hail from the University of California Berkeley and George Washington University, among others, lent their support to the FTC’s July ruling that overturned its own administrative law judge and concluded the lab’s failure to employ “basic” security precautions led to an unauthorized disclosure of sensitive medical data that caused “substantial” harm to consumers, in violation of the unfairness prong of Section 5 of the Federal Trade Commission Act. “Its enforcement actions, in particular, have encouraged responsible companies to invest in internal privacy and security professionals and increased the power and resources these professionals have to evolve and strengthen firm privacy practices,” the group wrote. Though the medical lab and its supporters have criticized the agency’s enforcement action as a “circumventing of the legislative process,” which harms businesses by subjecting them to vague and constantly changing data security measures,” the professors said Thursday the FTC’s governance style has been “open and collaborative,” and that its actions against LabMD were nothing out of the ordinary. Thursday’s amicus filing comes on the heels of a Feb. 10 reply brief the FTC filed in the Eleventh Circuit defending its July decision and striking back against LabMD’s opening brief claims it overstepped its authority and in the process destroyed the small medical testing company’s business, which shuttered in 2014 due to the expense of fighting the enforcement action. LabMD in particular has taken issue with the commissioners’ conclusion that the purported leak of a file containing personal data belonging to approximately 9,300 patients in 2008 constituted the type of “substantial” injury necessary to support a Section 5 claim, especially since there was no evidence that any of the compromised data had ever been misused or that the affected consumers had suffered any tangible harm. A group of amici from the business, tech and medical communities, including the U.S. Chamber of Commerce, TechFreedom and the National Technology Security Coalition, backed up the lab in early January, contending that the power that Congress bestowed upon the commission when enacting Section 5 do not include the ability to set and enforce general data security policy. In a response to the professors’ brief in support of the FTC, LabMD CEO Michael Daugherty told Law360 it was “quite telling that the FTC could only muster up academic lawyers. The eight amici professors include Kenneth Bamberger, Woodrow Hartzog, Chris Hoofnagle, William McGeveran, Deirdre Mulligan, Paul Ohm, Daniel Solove and Peter Swire. The academics are represented by Michael W. Sobol, Nicholas R. Diamand and Laura B. Heiman of Lieff Cabraser Heimann & Bernstein LLP. LabMD is represented by Doug Meal, David Cohen, Michelle Visser and Douglas HallwardDriemeier of Ropes & Gray LLP. The FTC is represented by staff attorneys Theodore Metzler and Michael Hoffman. Six amicus briefs filed by business, tech and medical interests in a federal court Tuesday and on Dec. 28 support LabMD’s argument that the Federal Trade Commission (FTC) operated outside its authority when it found the now defunct cancer testing firm to in violation of Section 5 of the FTC Act following what the commission has characterized as a data breach. He added that since “the FTC has tried everything to vilify LabMD, having our own physician clients eager to sign on and file their own brief was the cherry on top.” In addition to a group of doctors, cybersecurity pro Gary Miliefsky, TechFreedom, the International Center for Law and Economics, the National Federation of Independent Business Small Business Legal Center, and the National Technology Security Coalition filed in favor of the company’s efforts to challenge the FTC. LabMD launched its appeal in December in the Eleventh Circuit court after the same court granted a temporary stay of the FTC’s order against the company. The case against LabMD has stretched from 2013 when the commission pursued enforcement action against the facility for leaving information on patients vulnerable to exposure through a file-sharing program. It has taken a number of twists and turns, some of them ugly and even sparked a congressional committee probe. But the commission challenged Chappell’s ruling and found LabMD to be in violation of Section 5 because it did not reasonably secure the data in its custody. The Eleventh Circuit gave the Atlanta-based company an opening for appeal in the fall with the temporary stay and the company filed the appeal in late December.